The bill that would place a tax on sweetened drinks is in a suspended file. Assembly Bill 669 would impose a penny per ounce tax on soda. A bill that calls for the taxation of sugary drinks was pushed into suspension earlier this week, but the author of the bill said Wednesday he'll continue to promote its passage. "We're fully committed to continue to work on it," Assemblyman Bill Monning (D-Carmel) said of the bill that would impose a penny per ounce tax on soda. Monning said the bill, officially named Assembly Bill 669, is about health, and aims specifically to combat "out of control" child obesity in California. "The case has been proven," Monning said of the increase in soda size and sugar content. "The question is, what's the appropriate public health response?" The money from the proposed tax would be directed to the Children's Health Fund, which provides funding for physical and nutritional education in schools, as well as community organizations for health. Monning said the money generated from the tax would be around $1.7 billion a year. Monning said that part of the public health strategy is to educate families about nutrition, so they can make better choices for themselves. "The problem is, not all families are working with the same education level and access to fresh fruits and vegetables," he said. A portion of soda often costs less than the same portion of water, Monning added. "We have to level the playing field. The market is distorted in a fashion that families don't have the tools to combat it," he said. 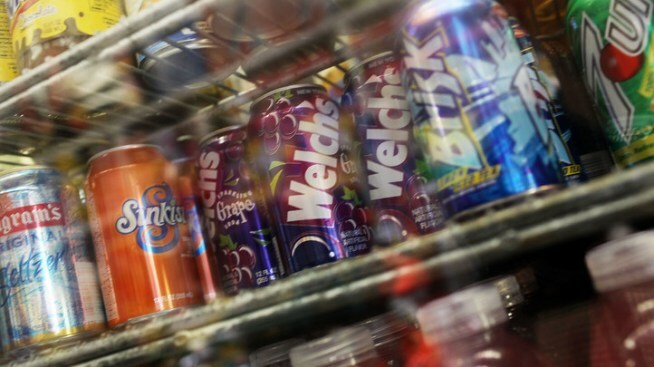 The "sweetened beverage tax" bill will be examined again in May.